Talk about the celebrity destination wedding of the year! 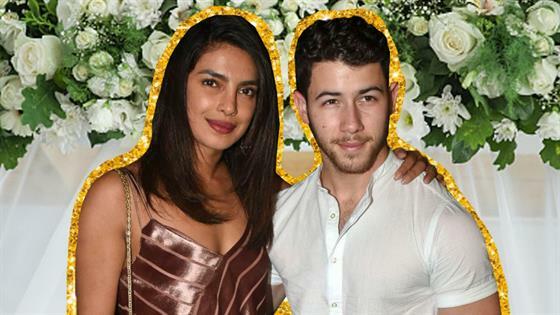 Nick Jonas and Priyanka Chopratied the knot in her native India on Saturday and have certainly spared no expense. This 25-year-old pop star and 36-year-old actress, who went public with their relationship this past summer following continuous rumors, reportedly spent more than $800,000 on their wedding festivities, which spanned the whole week. Jonas and Chopra exchanged vows in a Western, Christian ceremony at the five-star heritage hotel Taj Umaid Bhawan Palace in Jodhpur on Saturday. They plan on having a traditional Hindu ceremony there as well. According to Indian newspaper Daily News and Analysis, both the couple and both their families booked the entire hotel for the wedding from November 29 to December 3 for approximately Rs 64.40 lakh per night. Helicopter Ride: up to $300, according to MHS Rides. Food $120 a plate minimum, according to Theme Weavers Designs. x 200 = $24,000. Sound and lighting: $63,000 for three days, according to Theme Weavers Designs. Photography and videography: $42,000 for three days, according to Theme Weavers Designs. Decor: $282,000, according to Theme Weavers Designs. According to the website, a three-day wedding for 200 people in Jodhpur would cost about $565,000 total. The bride and groom traveled to India in late November to prepare for the wedding. To get from New York to Jodhpur, a person must take a minimum of two flights, usually stopping in either the Indian cities of Mumbai or New Delhi. A second layover, if applicable, is usually in London. A one-way trip from New York to Jodhpur takes more than a full day. "People will need vacations after this wedding," Chopra joked to Vogue.